Mekenzie is a 1997 graduate of PCI in Dental Assisting. 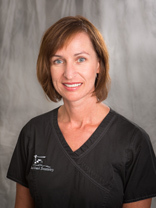 She has been with Dr. Lockhart since September 2001. She and her husband Joe live in Westfield and have two sons, Tyler and Braedon. Ingrid was born in Lithuania and graduated from Vilnius University with a History and Education degree. She came to the United States in 1993 and later graduated from Indiana University School of Dentistry. Ingrid has been practicing hygiene since 1998 and enjoys all of the challenges that the career brings. 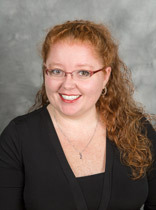 She joined Dr. Lockhart’s team in 2003, and she looks forward to many more years to come. Ingrid and her husband Craig live in Indianapolis and have two children. They enjoy snow skiing, hiking, golfing, and camping. 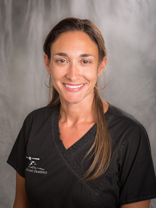 Danielle graduated from Indiana University School of Dentistry’s dental hygiene program in 2008 and has been practicing with Dr. Lockhart since 2010. She has her license in dental hygiene anesthesia as well. Danielle loves her career as a dental hygienist, because she enjoys helping patients obtain healthy mouths, pretty smiles and their overall optimal health. Danielle feels very fortunate to be part of Dr. Lockhart’s practice. In her spare time. Danielle enjoys watching the NFL especially the Colts, spending time with her extended family and having fun with her son, Graham. 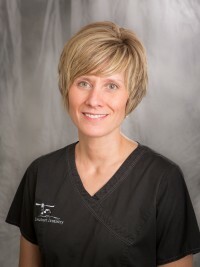 Heather joined Lockhart Dentistry in December 2017. She comes with 12 years of experience in dental, both assisting and office management. Heather is married to Brandon and has three step kids; Ciera, Mackenzie, and Gavin. In her spare time Heather enjoys reading, spending time with her dogs, bartending, and traveling…when she can get away.